Here at Meet the Species HQ, we have had an amazing time searching for wildlife all over the UK, so we decided to each do a blogpost about our favourite wildlife experience whilst working on the project. Ben gets up close and personal with some scaley friends. Being a part of Meet the Species, and discovering the incredible diversity of wildlife just waiting to be encountered on anyone’s doorstep, has been a truly eye-opening adventure. From leaving a light bulb and trap out for a single night to be rewarded with dozens of delicately patterned moths; to dipping a single net into a shallow pond to discover a world teeming with life; or taking a walk in the woods at dusk to see a host of bats flitting overhead, there have been many fantastic experiences. 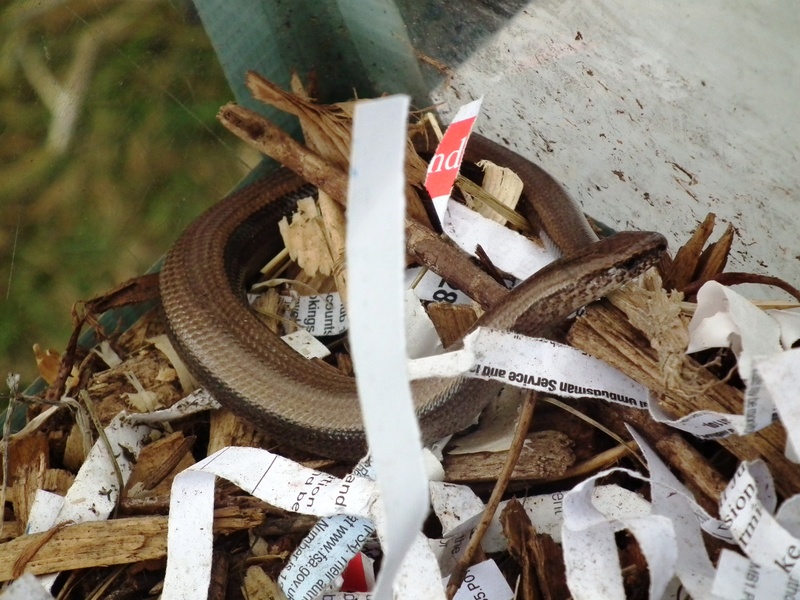 However, my personal highlight of the last eighteen months was the opportunity to meet, for the first time in my life, some of our reptilian neighbours; the slow worm and the grass snake. The slow worm is an especially fascinating and unusual creature – a legless reptile that is a lizard not a snake, contrary to its name it is definitively not a worm, and can move extremely quickly when required. At last year’s Wilderness Festival, our resident herpetologist brought along both a specimen collected during a nearby survey, and visitors to the Meet the Species HQ were able to learn more about this intriguing lizard. It was a privilege to be able to introduce these usually elusive creatures to a wider audience. I am still yet to encounter a slow worm in the field, and am increasingly jealous of those who see them frequently in compost heaps and gardens, but rest assured I will be keeping my eyes peeled for any sudden movements in the undergrowth, and hoping for a chance to meet one of these amazing reptiles again very soon! 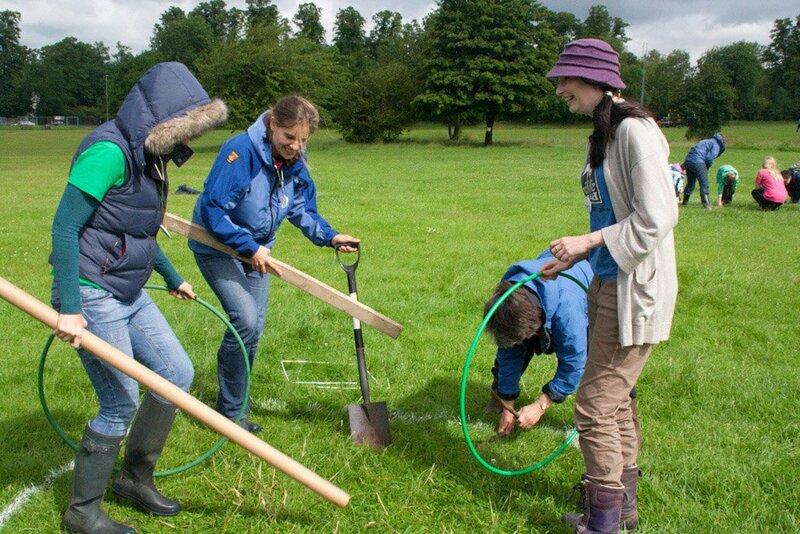 The Wormlympics worm charming event! Its a cloudy Sunday morning in Oxford. A small patch of the city park near Science City Oxford plays host to an epic battle. A battle of wits, of brawn and of vibration. 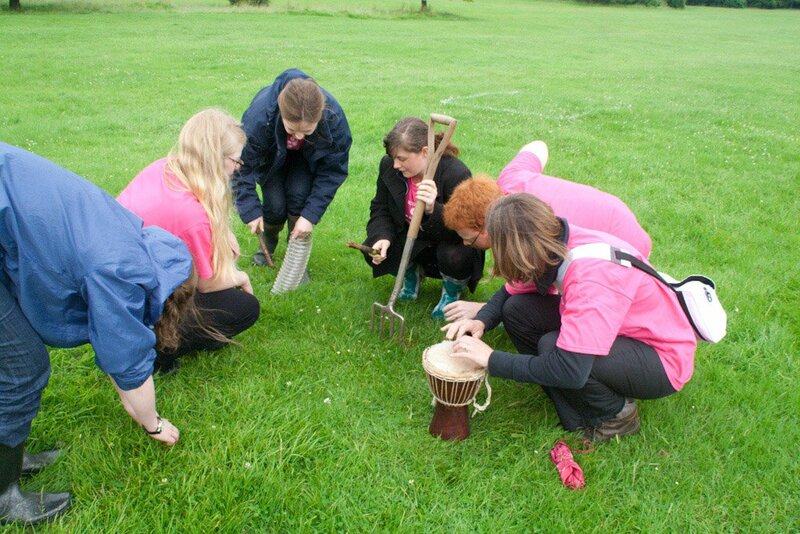 In this Olympic year, Oxfords finest came together in a clash of the titans, clad in their bright pink Oxford BioBlitz T-shirts, to charm worms! 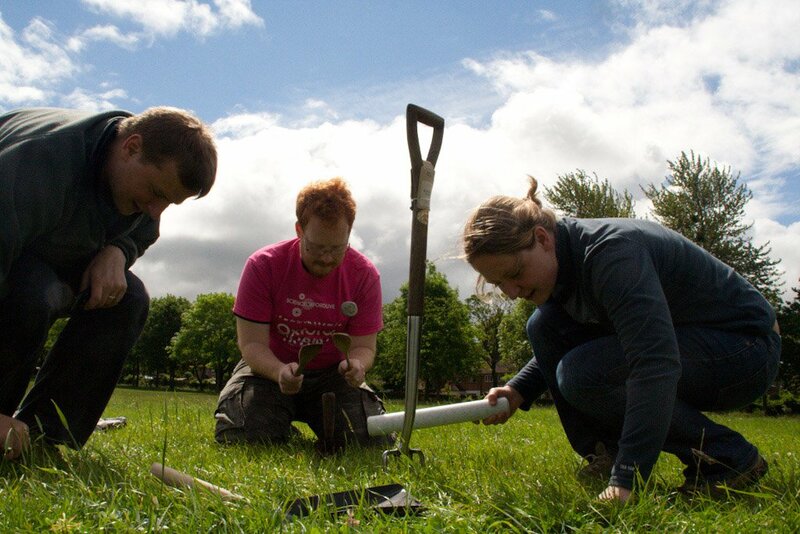 Worm charming is a skilled and eccentric artform, luring worms to the surface using their natural responsive behaviour to vibration. There are 18 strict rules of engagement as laid out by the International Federation of Charming Worms and Allied Pastimes (IFCWAP) based in the village of Willaston, near Nantwich, Cheshire where the International World Championships are held each year. Rule#4 – Worms may not be dug from the ground. Vibrations only to be used. Rule#5 – No drugs to be used! Water is considered to be a drug/stimulant. This very much vibrations based warfare where teams battle it out through song, expressive dance, methodical percussion and heavy base beats to lure their slimey prey to the surface. This ritual artform mimics the behaviour of gulls that often stamp the ground on our neatly mown green spaces to draw up a wormy snack. I’m a PhD student, and I study ladybirds. When I tell people this, they tend to have one of two responses: either “You really get paid to look at ladybirds? !” or “But there’s only one species!” Fortunately, the answer to either response is similar. There are actually 47 species of ladybird in Britain – more than there are land mammals – and 26 of them are big, colourful, spotty and obvious. Between them they munch through untold millions of aphids, greenfly, scale insects and other pests every year – without the millions of tiny mouths helping out, farmers and gardeners would be submerged beneath a wriggling green tide. Similarly, for all the attention they get, there are fewer species of bird in Britain than there are species of ground beetle, another group of helpful predators. 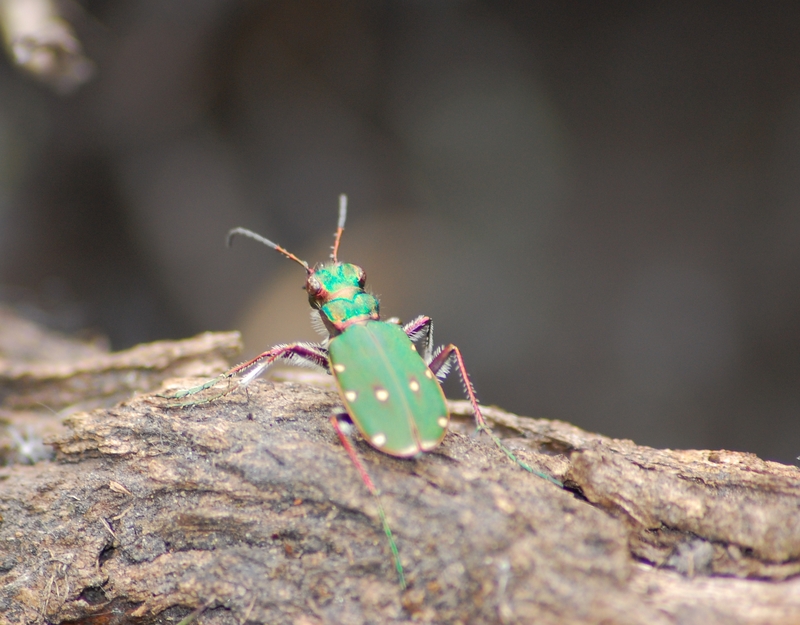 Glow-worms are beetles, as are woodworm – there’s a wasp beetle, a bee beetle, Minotaur beetle, whole familes of jewel beetles and tiger beetles. They may be small and easily overlooked, but with more than four thousand species in Britain alone, beetles really are the small things that run the world! Whilst I’m now a scientist, first and foremost I’ve always been a naturalist – starting at age 4 or 5 rearing caterpillars from the vegetable patch, and now reaching the stage where my summer weekends are spent careering from BioBlitz to BioBlitz, helping others catch the bug. 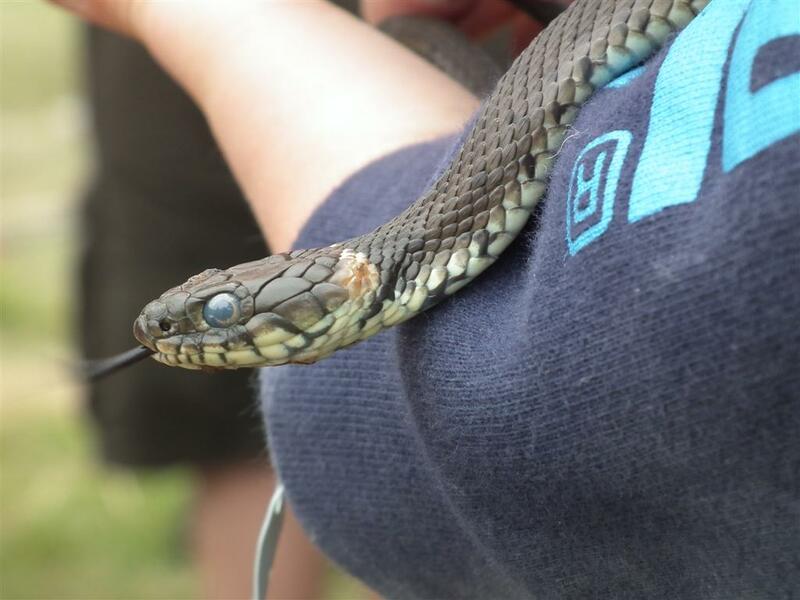 Last July, this bore fruit in spectacular style at the Axe Estuary Wetlands Bioblitz. Top of my wishlist for some time had been the 13-spot ladybird, a species which had gone extinct in Britain around 1950 and now turned up occasionally after flying the Channel. An adult had been photographed at the reserve the previous year, but since it was turning up at the rate of about one a year all along the south coast, I wasn’t holding out much hope! But around mid-afternoon, in the bottom of the net, there was a big grey crawly thing, with a cream belt across the abdomen – this wasn’t just a 13-spot ladybird, it was a larval 13-spot, the non-flying caterpillar stage, and that meant it hadn’t flown over from France, but had grown up in Devon! My first ever sighting of the species and the first British larva ever reported – well worth the 5am start! You don’t need to get up in the middle of the night, or spend your days wading through marshland, to find interesting beetles though. Your garden, the village green, that derelict brownfield site down the road will all have plenty of beetles (and all kinds of other small-scale wildlife) – once you slow down and start looking down at ground level, in the leaf litter and under stones, you’ll be amazed what you’ve been missing!